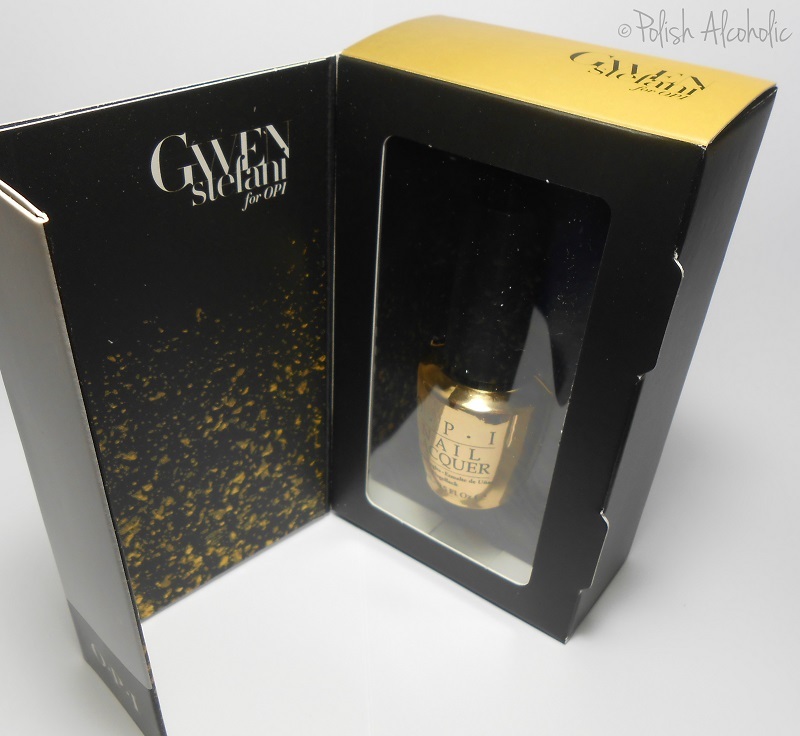 It’s an 18k gold leaf top coat that is different from The Man With the Golden Gun and Pure. 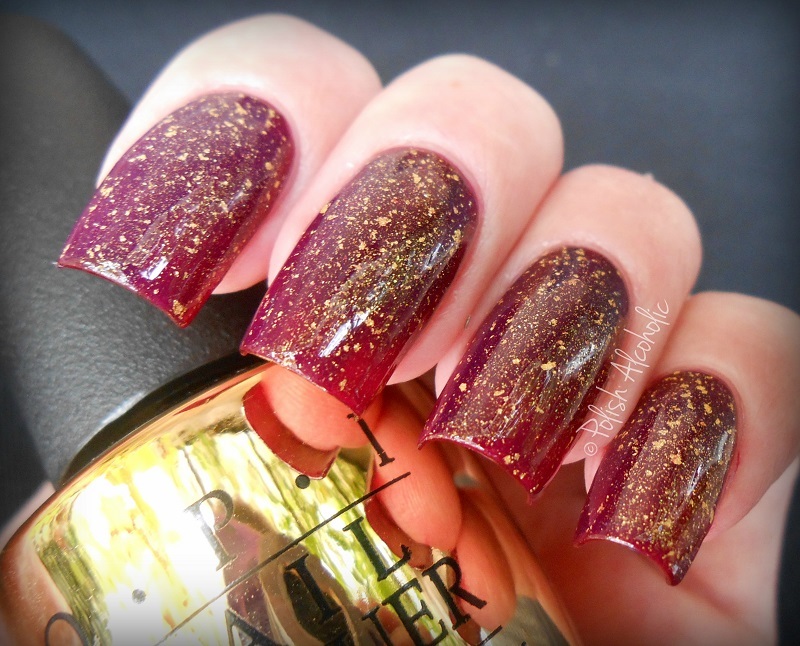 This one has gold leaf flakes along with fine gold shimmer running throughout. This is my favorite from the 3 mentioned. It has more depth due to the fine shimmer and is denser. The formula is perfect. No need to fish in the bottle, dab or replace the gold particles. This is one easy coat over ANNY’s Bloody Return. What do you think of this one? Which gold leaf top coat is your favorite? 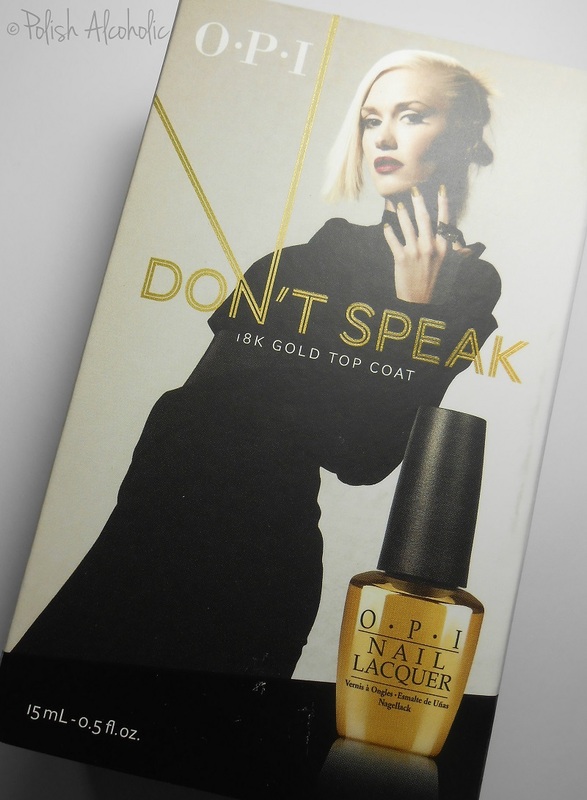 This entry was posted in OPI and tagged 18k gold leaf, don't speak, gold leaf top coat, gwen stefani, holiday 2014, opi, opi don't speak, review, swatches by Polish Alcoholic. Bookmark the permalink.